Recently I read two social media posts and decided these would be great together; kind of like chocolate and peanut butter! Also, they merge perfectly with Teacher Appreciation Week! 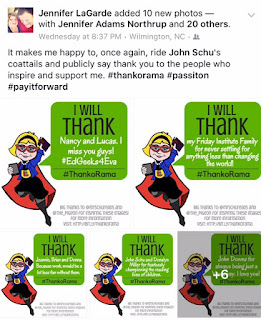 Ginger Lewman posted about the hashtag, #eduhero. This is a hashtag you can use to celebrate the #eduheros in your life. 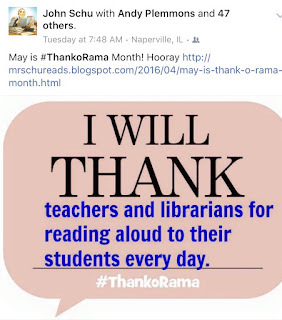 Matthew Winner, Andy Plemmons, John Schu, and and Jennifer LaGarde all posted about Mo Wiilems’ new book that has the hashtag #ThankORama attached to it. #ThankORama gives you the opportunity to thank people, cats, dogs, pizza for being AWESOME! I used the activities included on Mo Willems’ site with our special education self contained students last Wednesday and we will be doing #ThankORama activities all month long in the JCHS Library. I think it is the perfect end of the school year activity! 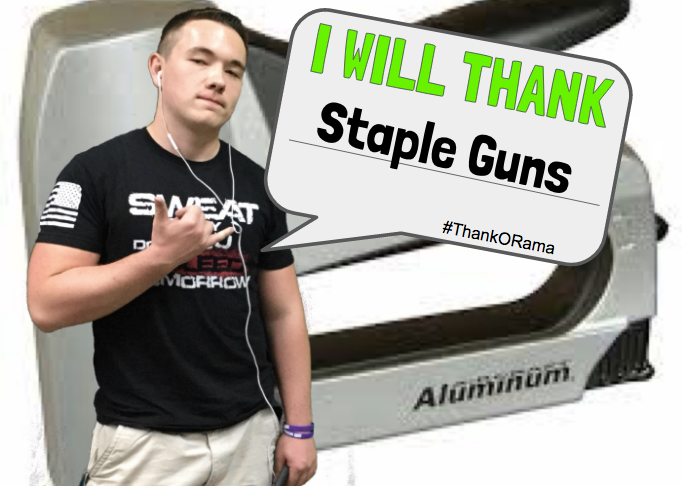 The JCHS Library has set up the green screen so student can make the subject of their #ThankORama the background with speech bubble added later. We also have space for student to fill out Post It Notes with their #ThankORama pick! I can't wait to see the wall grow! 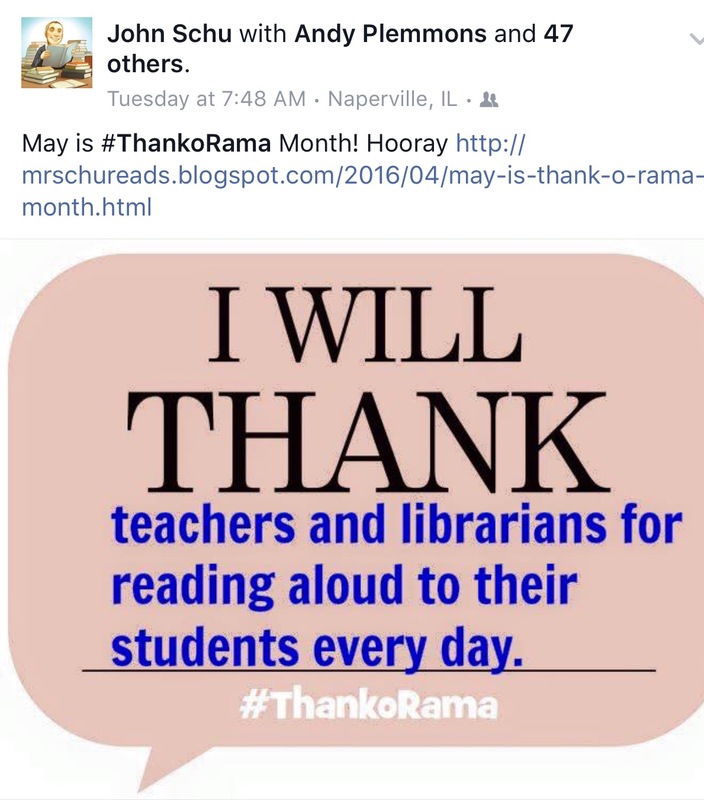 Jennifer jazzed up her #ThakORama posts with her great Library Girl avatar! 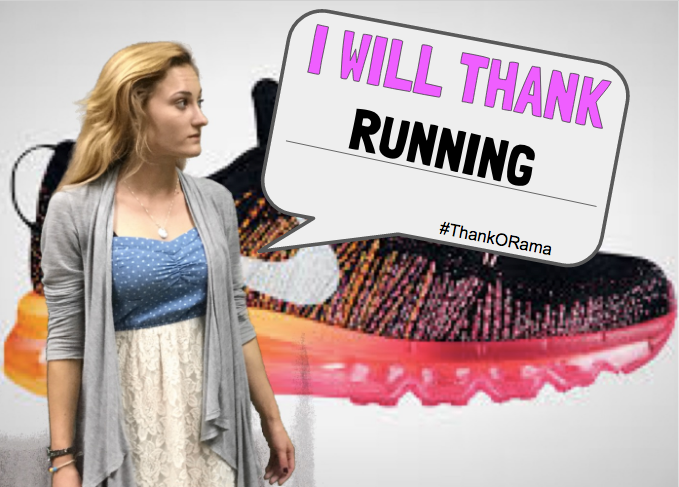 If you don't yet have an avatar challenge yourself to create one with one of these avatar maker sites (courtesy of the amazing Gwyneth Jones) and then create your own #ThankORama/#EduHero message! Who will be YOUR #eduhero/#ThankORama? !